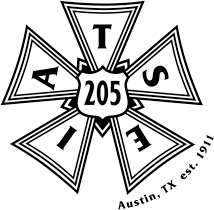 When accepting work through the hiring hall, individuals agree to be governed by all rules and regulations of the IATSE and Local 205 and agree to have the appropriate referral fee deducted from their payroll. In addition, any individual crewed through the hiring hall is subject to the following regulations. It is the obligation of every individual to conduct them self in a manner that reflects positively on IATSE Local 205. All persons shall arrive at the designated time and place mentally and physically capable to perform all duties that may be assigned. A. All persons shall report to the Union Steward upon arrival at the job site. The Steward will call all breaks, meal breaks and dismissals. B. All complaints concerning the job or working conditions will be directed to the Steward in a timely fashion and NOT discussed in front of others, i.e. the client, promoter, etc. C. The Steward will be responsible for providing a written report of the call to the Union Business Agent, including call times, crew numbers, and any events relevant to the policies and procedures of the hiring hall. All persons should arrive at the job site with the proper tools. Persons showing up without the required tools may be reduced in pay to the next lowest pay classification, or at the discretion of the Employer, be dismissed for the day. D. All persons should dress appropriately for the call. Unless otherwise directed, show crews working in view of the audience shall wear solid black clothing without large writing, emblems, or designs in light colors. Long pants and long sleeves may be required. Convention and hotel crews must wear collared shirts. Crews may need to meet other dress requirements. Improper dress shall be subject to the following penalties: first offense, ten-dollar fine, second offense, twenty-dollar fine. Improper dress more than twice within a three month period will be subject to hiring hall review board action. E. All persons employed through the hiring hall must give the Business Agent a minimum of 24 hours notice in the event that they are unable to report to a call. F. Any use of alcohol or illegal drugs is grounds for immediate removal from a call and, at the discretion of the Employer, grounds for termination. G. Lateness shall be subject to the following penalties: At the discretion of the Employer, be dismissed for the day. Or, ten minutes late, ten-dollar fine, fifteen minutes late, subject to removal at the discretion of the Steward or Business Agent and/or twenty dollar fine. Any person arriving to a call late more than twice within a 3 month period will be subject to hiring hall review board action. H. Any subscriber removed from a call must appear before the hiring hall review board. I. Individuals incurring a fine will be removed from the crewing list until payment has been submitted.